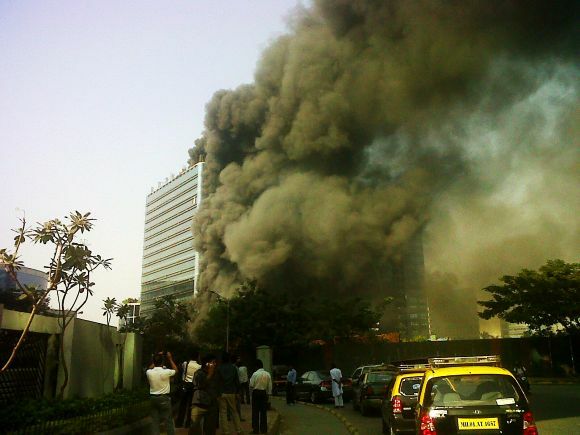 Rediff.com's Abhishek Mande reports from the site of a fire which engulfed parts of a building at Bandra Kurla Complex in Mumbai. 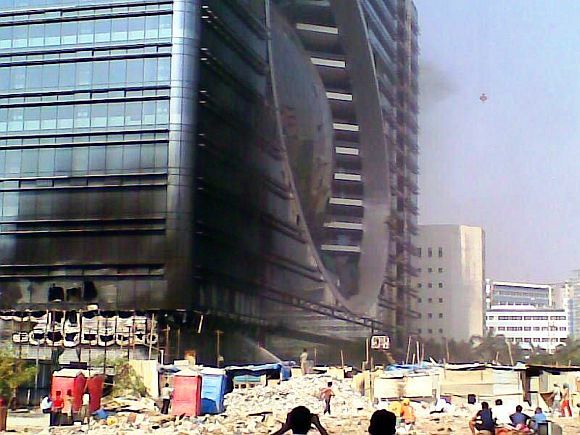 A major fire broke out on Friday afternoon at The Capital Tower in Mumbai's business district of Bandra Kurla Complex. The fire gutted a part of the first and the second stories of the under-construction building. Even as black smoke billowed from the western wing of the building fearing large casualties, there were no deaths or injuries reported. 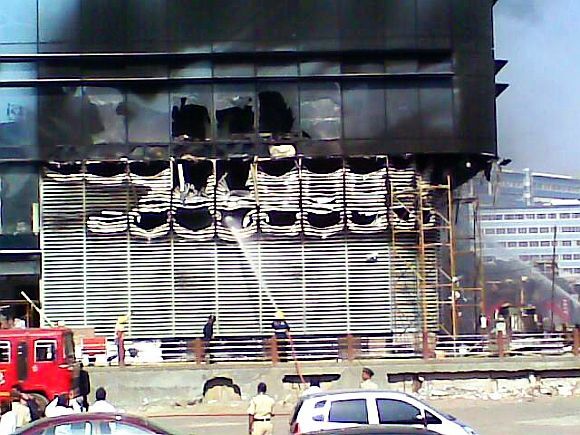 According to a fire officer who requested not to be named, a short circuit caused the inferno at the building, which is being constructed by Wadhwa Developers. The adjoining parking lot had to be emptied almost immediately as the winds threatened to spread the flames to the cars parked there. 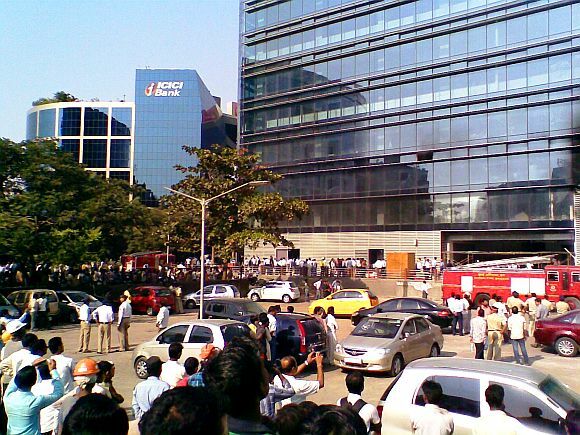 One of the parking lot attendants, Anand Kumar, said he first spotted the fire around 2.50 pm soon after which he along with his colleagues started to take the cars as far away from the blaze as possible. Since most of the car's keys were deposited at the counter, the task was somewhat easier even though Kumar says some cars whose keys were not to be found, had to be pushed out physically. The fire was brought under control in less than an hour.